The Titanic tragedy has taken many lives, but some things are also very important. This museum is the place where everything was gathered, so you want to have some things back. 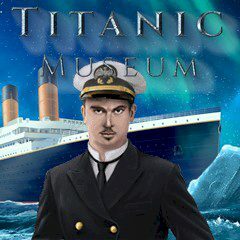 Fortunately, not everything was lost during the Titanic tragedy and some things were saved. People are connected with things they love, so your desire to bring back things that were important to you is clear. However, the room is overcrowded with things, so you have to pay attention to the details.